The discovery of an 18-foot oarfish off Catalina Island thrilled the staff at Catalina Island Marine Institute. Jeff Chace, program director of the institute, said it took about 15 people on Sunday (Oct 16, 2013) to lug the serpent-like "leviathan" onto shore after it was discovered dead in about 20 feet of water. Oarfish normally live at depths of 1,000 metres or more and they are rarely seen, dead or alive. An instructor snorkeling in the waters of Toyon Bay on Sunday stumbled upon the carcass. Chace said. The instructor was in 15 to 20 feet of water at the time, he added. Chace said there were no marks on the oarfish, and it was unclear how it died. 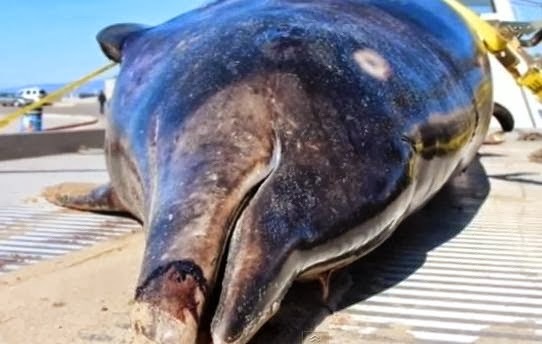 And another rare 15-foot, 2,000-pound dead creature, a saber-toothed whale turned up in the waters of Venice Beach in Los Angles, California on Wednesday, just days after the discovery of the oarfish. 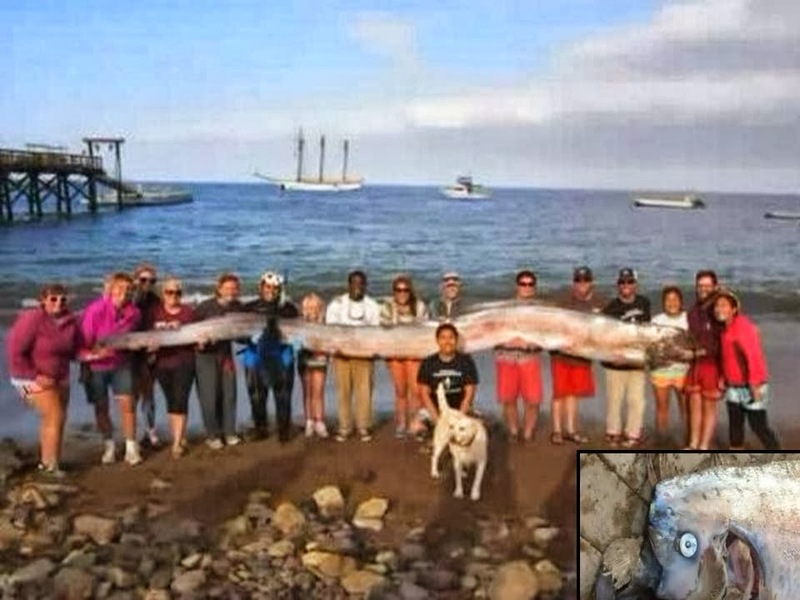 Why are we seeing such rare sea monsters along the California coast now? Could it be tectonic plate movement in the Pacific? In ancient times, Japanese people believed that fish warned on coming earthquakes. There is no scientific relationship between these sightings and an earthquake, but in November 2010 at least 19 oarfish have washed up in eight Japanese prefectures and they emerged within a short time. On March 11, 2011, a magnitude-9 earthquake shook northeastern Japan, unleashing a savage tsunami. So there 2 or 3 oarfish washed up?